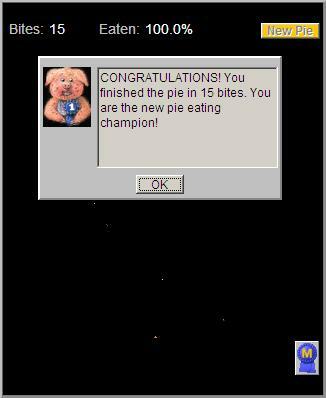 Eat the pie in 15 bites. I did it in 17 on my first try, and have yet to beat that. And so far I haven't been able to do any better.